which determine the Green cycle time of the controller during the day and night respectively. road section traffic signal lights NSRED, NSYEL, NSGRN, EWRED, EWYEL and EWGRN. The Red, Yellow and Green signals that are turned on/off at different states are shown. 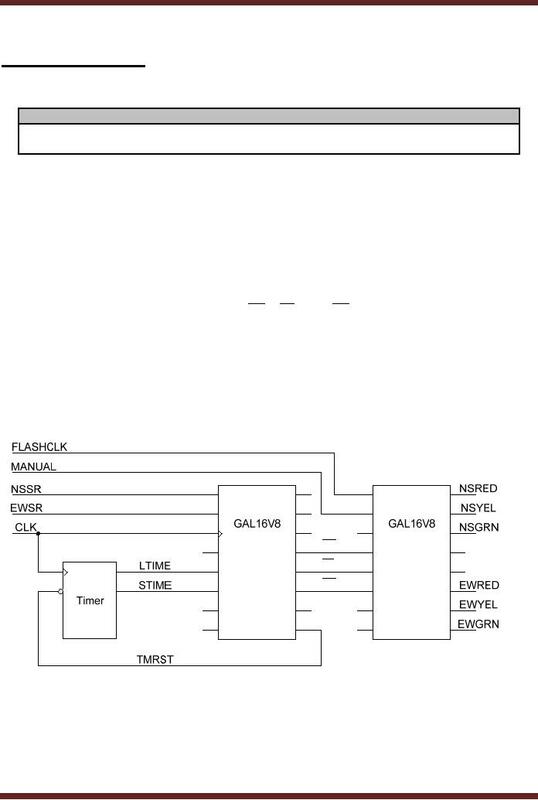 depending upon the input signal FLASHCLK. Synchronous state machine has three basic steps. take into account the exact timing behaviour; it simply describes the functional response. to a three-variable Karnaugh map to derive the Characteristic equation. Figure 38.2. The characteristic equations for other flip-flops and latches can be derived similarly. 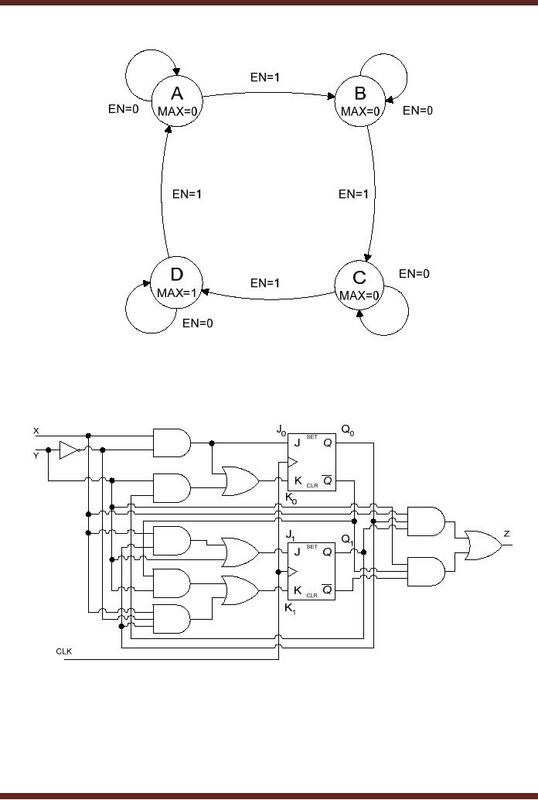 Two examples of Synchronous State machines are described. 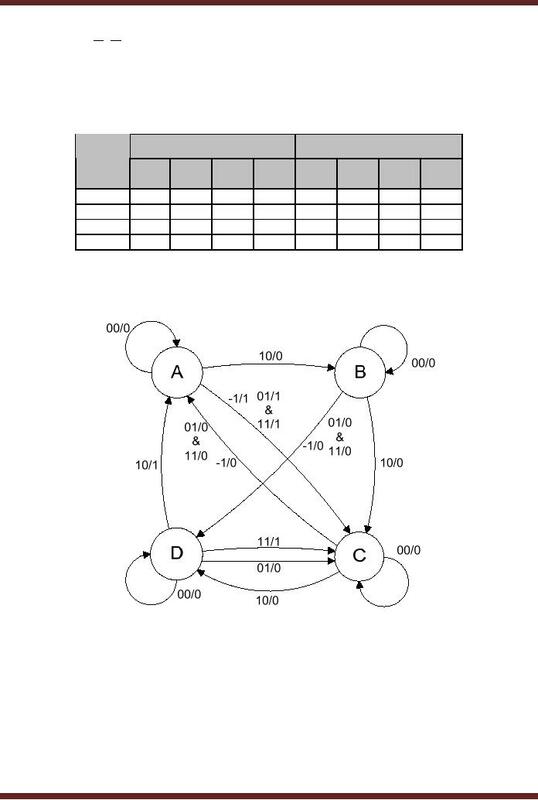 A State Machine with two positive-edge triggered D flip-flops is shown. 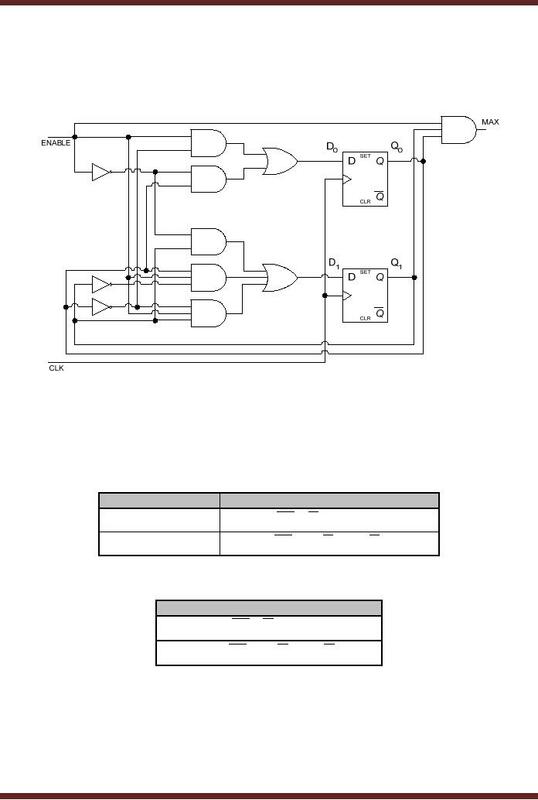 Figure 38.3.
inputs are given. Table 38.5. The two Transition equations for the inputs D0 and D1 are given. 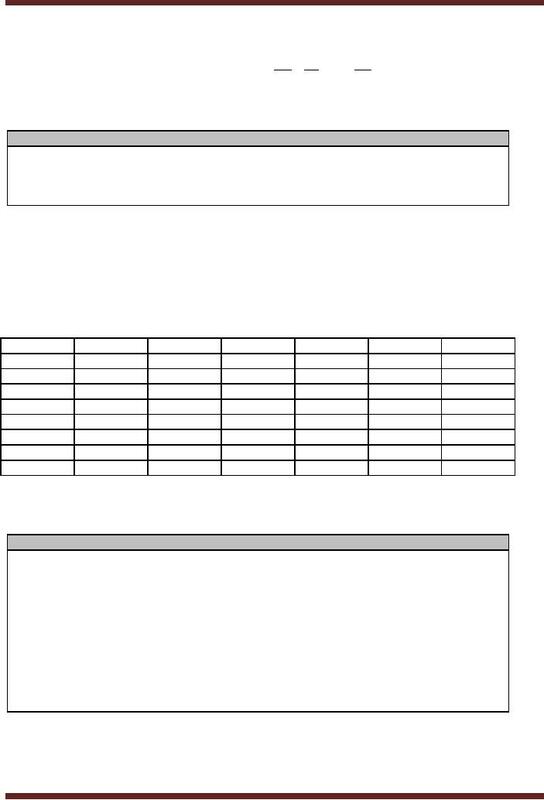 a transition table can be prepared. The Transition Table is shown. 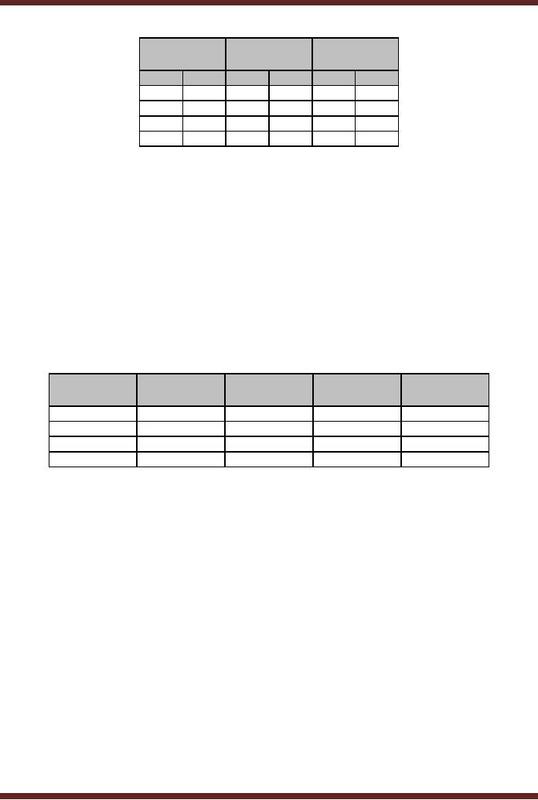 Table 38.7.
the Mealy State machine derived from the State Table is shown. Figure 38.4. Moore Machine with a simplified State Table. 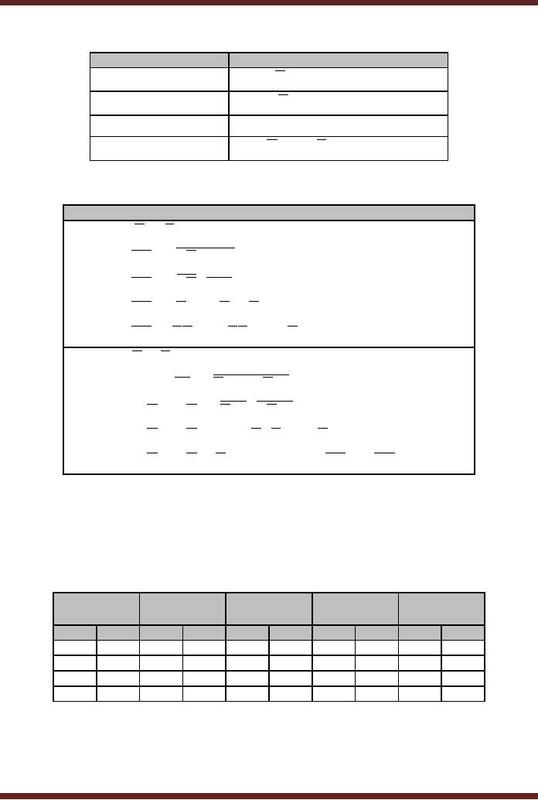 Table 38.9 and State diagram. 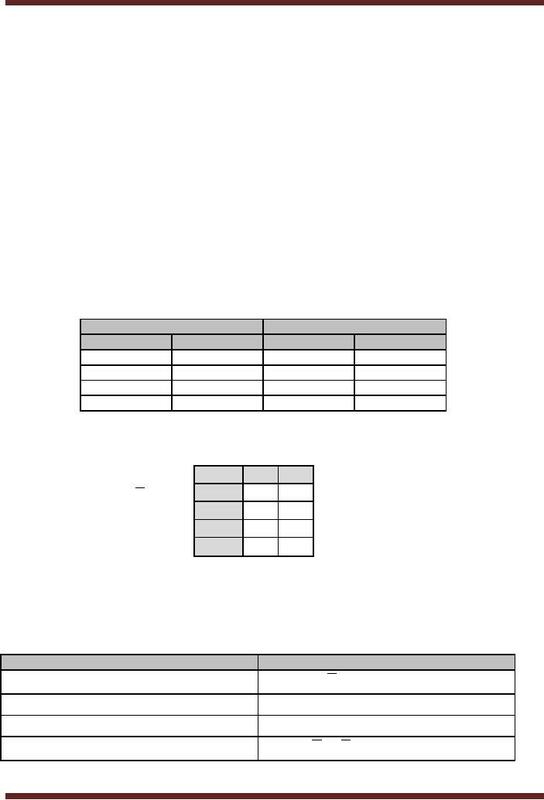 Figure 38.5.
transition table can be prepared. The Transition Table is shown. Table 38.12. 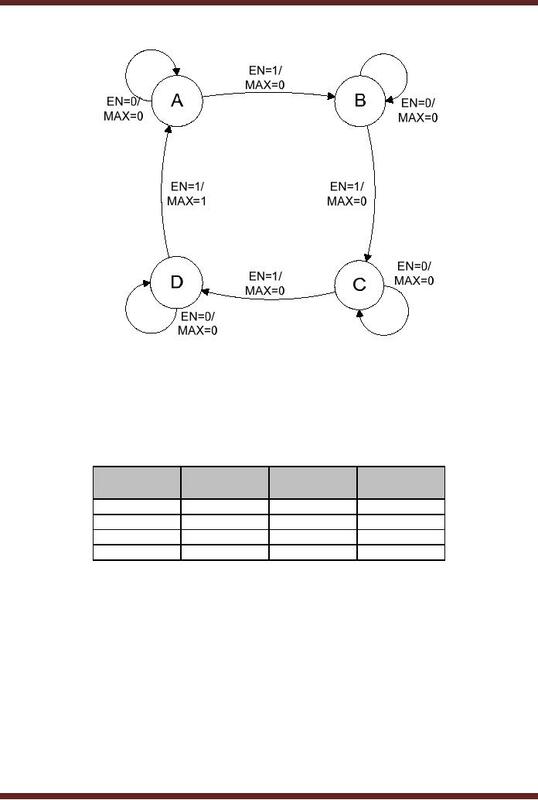 State machine derived from the State Table is shown. Figure 38.7.